Or, in less confusing terms, happy Day before Christmas Eve! Since it is also Wednesday, I figured I would jump back into regularly scheduled programming, and share a couple of podcasts I think you guys might enjoy! Both of these podcasts are great for runners, and contain tons of valuable information. I only recently started listening to both of these, but I can already tell they are going to be favorites of mine. No Meat Athlete – Matt Frazier. This podcast comes from Matt Frazier, the creator of the very popular blog, No Meat Athlete. I actually heard Matt speak at a seminar during the Runners World Heartbreak Hill Half and Festival, and I really respect his advice. He’s extremely honest about his path towards qualifying for Boston (it took him quite a few tries, but he ended up qualifying and taking about 100 minutes off his first marathon time). Considering I’ve finally admitted this is one of my major running goals, I’ve been finding it really interesting learning more about his techniques and strategy. 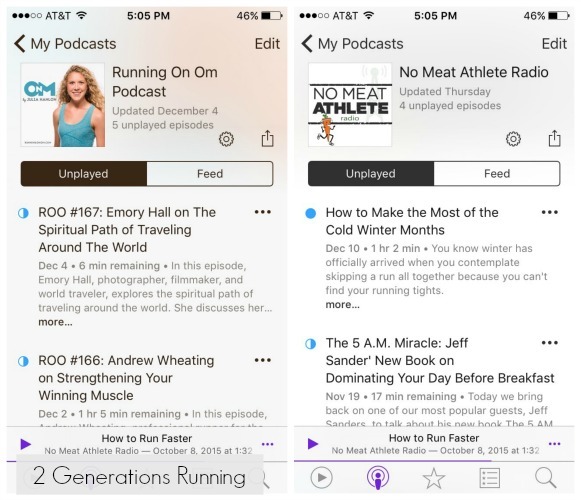 No Meat Athlete podcasts usually feature different guests as well, and they cover a variety of running/health-related topics. So there you go! If you want a little something to listen to while you’re running during the holidays, I would definitely give these podcasts a try. 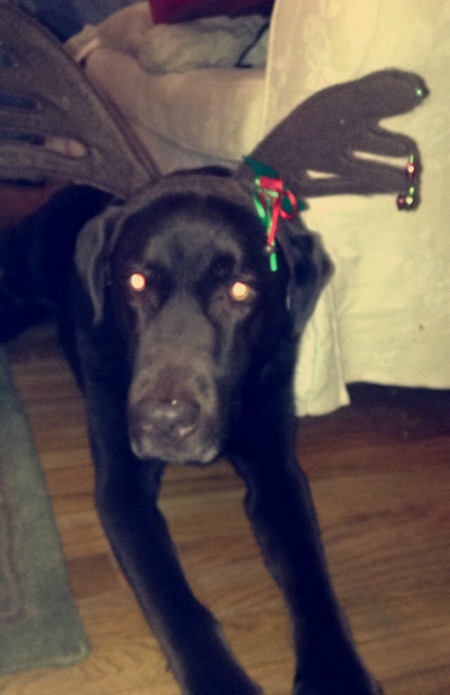 Hope you have a wonderful Christmas and enjoy the holiday break! 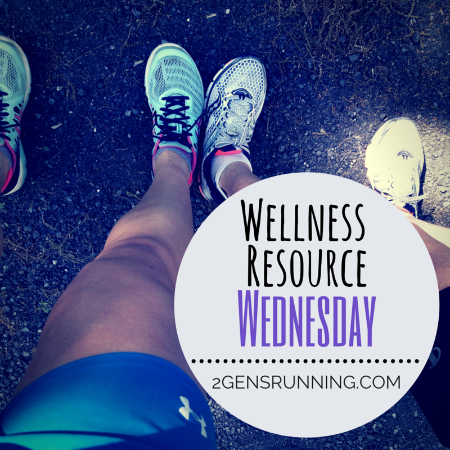 This entry was posted in Wellness Resource Wednesday and tagged No Meat Athlete, Review, Running on Om, Wellness Resource Wednesday. Bookmark the permalink.